Councillors could demand more information on the controversial SNC-Lavalin contract to extend the Trillium Line if they pass a motion being planned for Wednesday's council meeting. Last week, CBC reported that SNC-Lavalin did not meet the minimum 70 per cent technical score needed to qualify for the $1.6-billion contract, while its two competitors easily met the threshold, according to three sources with direct knowledge of the evaluation process. Citing commercial confidentiality, city officials have refused to say whether SNC-Lavalin met the technical threshold. Asked if there are provisions in the request for proposals that would allow a bidder to win without earning a 70 per cent grade, the city wouldn't explicitly say. Coun. Jeff Leiper said he heard a "non-stop stream of reaction from residents" about the story over the weekend. "Residents are concerned that the bidding process was not fair," said the Kitchissippi councillor. "I think it's incumbent on us as a city to put those questions to rest." Now, the councillor is working with colleagues, city staff and the clerk's office on the wording of a motion that "would simply request more information from the city" before the SNC-Lavalin contract is finalized at the end of the month. Council would have to waive the usual rules of procedure at Wednesday's council meeting to allow such a motion to be discussed. 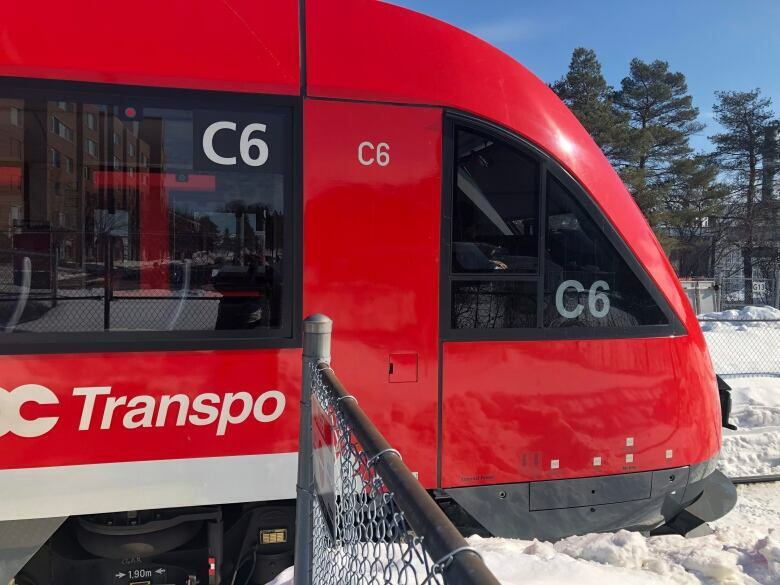 Earlier this month in a 19 to 3 vote, council approved the contracts for both the east-west Confederation Line and north-south Trillium Line extensions. Councillors Diane Deans (Gloucester-Southgate), Rick Chiarelli (College) and Shawn Menard (Capital) voted against the deal. At the time, Deans and a few other councillors pressed city officials and their lawyer, Geoffrey Gilbert of Norton Rose Fulbright, on whether SNC-Lavalin achieved the minimum technical score. Mayor Jim Watson defended the city's procurement process last Friday, saying it was carried out by professionals and "not politicians" and overseen by a hired fairness commissioner. The SNC-Lavalin bid was also "the best deal for taxpayers," according to Watson. SNC-Lavalin's contract to extend the Trillium Line from Greenboro station to Riverside South is worth about $800 million — $230 million more than the city was expecting to pay. When the 27-year maintenance contract is included the contract is worth $1.6 billion, about $100 million less than expected. It remains unclear why city officials have spoken about SNC-Lavalin's financial score — they have said repeatedly that the Montreal-based company submitted the cheapest bid — but are not able to confirm that it met the technical threshold. Not all councillors see eye-to-eye with Leiper. Cumberland ward Coun. Stephen Blais, who has not yet seen the wording of the motion in progress, said he is "never against getting more information." But he trusts that no rules were broken during the evaluation process and is worried about potential legal action against the city. "What we heard was that providing information on technical scores would violate the terms of the [request for proposals]," said Blais. "This would open us up to litigation, which would lead to extra costs for taxpayers in legal fees, settlements and delays in construction." Leiper said he's also concerned about any council action that "could trigger millions [of dollars] in penalties." He's also willing to believe there is a mechanism in the process that could allow a proposal that did not meet the minimum technical threshold to be named the winning bidder. "But we need to know what that mechanism is," said Leiper. "We need to know what the balance of considerations was that led staff to recommend SNC-Lavalin."